HURLING is in the blood. 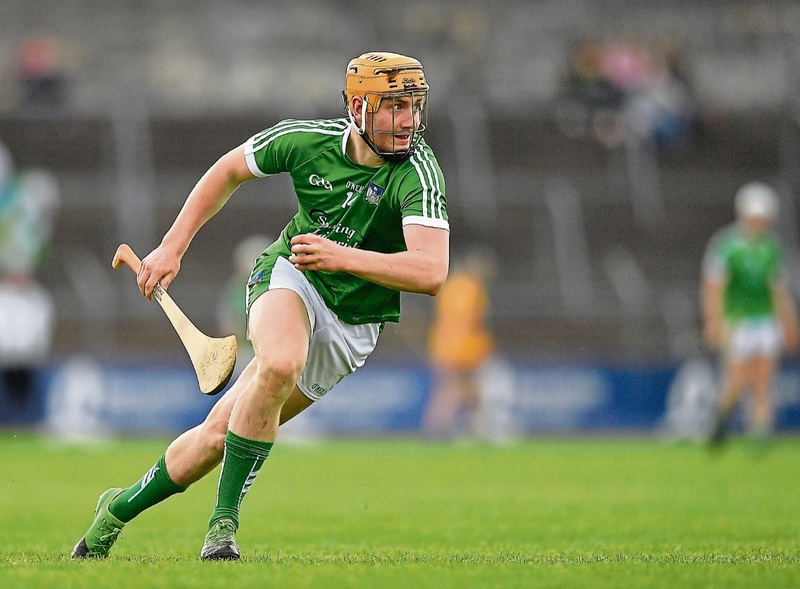 So it would have been little surprise for many to see Seamus Flanagan shine for Limerick last Saturday in the way that he did against Cork, a performance which ultimately earned him Man of the Match. The hurler was no doubt put through his paces as a child by his father, former Limerick hurler John Flanagan. He is the first Limerick senior hurler to come from his club, Feohanagh Castlemahon, since the Quaids, and he is sure to inspire a future generation of young hurlers in the club, a small hurling stronghold in the west of the county, more usually associated with football. “Seamus was obviously the best player, he always is,” said 10-year-old Patrick Cagney, who enjoyed the weekend’s match from the stand in Páirc Uí Chaoimh. “They played well. Their work rate is good,” added the fourth class pupil. Fionn Meehan, also 10, also enjoyed Saturday evening's action, which saw Limerick tie with Cork while down to 14 men. “I watched it on telly. I saw Seamus playing and he got Man of the Match because he’s the greatest player in Ireland!” he said. “I’ve met him in person a couple of times. It’s exciting for the club. I play hurling for Feohanagh Castlemahon,” said Fionn. But does he want to play for Limerick? “Yeah, definitely,” he said. Twenty-year-old Seamus, a student at UCD, is joined only by Declan Hannon (Adare) as west Limerick hurlers on the Limerick team. And as Frank Reidy, Feohanagh Castlemahon secretary and Limerick’s Munster Council delegate, explained, the formula lies in talent, determination and family. “There’s a history there; his father John played for Limerick for quite a number of years, and his mother (Anne Marie Quirke) would also have played camogie for Templeglantine. His brother would have been on previous underage panels and the Limerick minor team. His sister won an All-Ireland with ladies football, and his other sister is currently on the Limerick panel but is doing the Leaving now. His cousin, Paul Flanagan, is on the Clare panel,” said Frank. Seamus’ father John played as a centre-forward on the Limerick team, while Seamus shines as a full-forward. “His father was known to be a ferociously powerful man,” said Frank. And the young hurler “absolutely” showed promise from a young age, said Frank. “We played a match that’s very vivid in my memory, against Killeedy. We were down to 14 men and we were down nine points at half time. And Seamus, as full-forward that night, he came in and scored 3-05 in the second half. We ended up winning the match with 14 players. He was only 16 that time,” he added. The Quaids from the Feohanagh Castlemahon club are a family famously associated with goalkeeping for Limerick. Cousins Joe and Tommy were both in goals, and followed in their father’s footsteps to play for Limerick. And Tommy’s son, Nicky Quaid from Effin, is the current Limerick goalie.